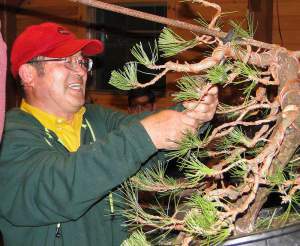 Second generation bonsai artist, Hiro Yamaji proprietor of Sansho-En Bonsai Garden in Kokubunji, Japan will be conducting a special one-day hands-on workshop. Mr. Yamaji is a graduate of Osaka University and fluent in English and has presented programs throughout the United States, Canada and Europe. He is one of the international judges at the 4th U.S. National Bonsai Exhibition. 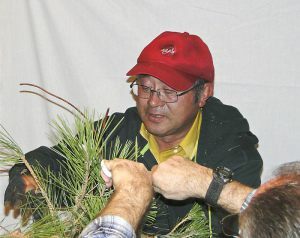 Mr. Yamaji, pine bonsai specialist, with decades of experience about pruning, pinching new growth, wiring as well as with a wide variety of species. Watch and learn as Mr. Yamaji performs his magic on your bonsai as well as having all your questions answered in perfect English, without wasted translation time.